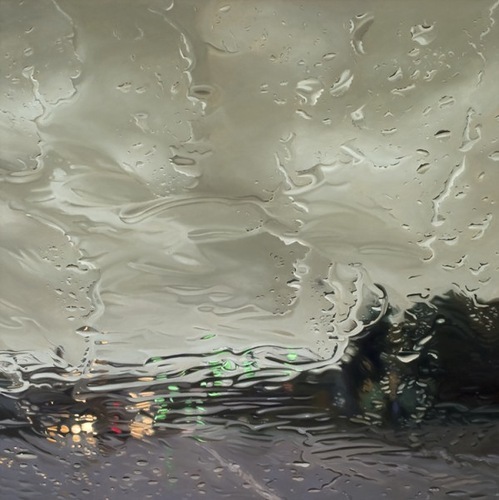 American artist hyperrealist Gregory Thielker was born in New Jersey in 1979 and currently lives in Cambridge, Massachusetts. 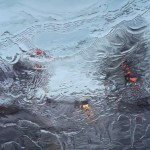 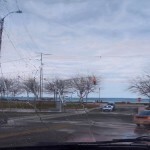 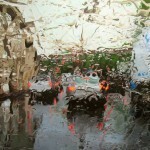 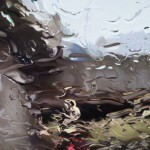 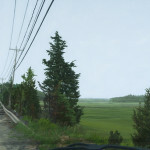 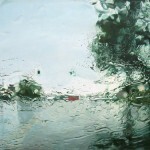 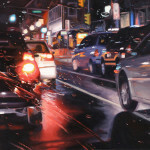 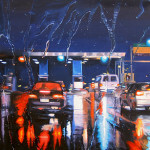 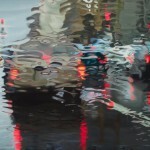 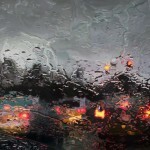 In his realistic paintings Gregory Thielker explores the sensation of seeing through a car windshield while driving through the rain. 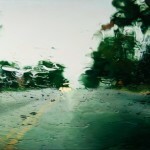 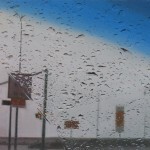 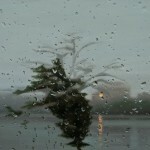 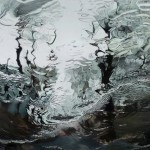 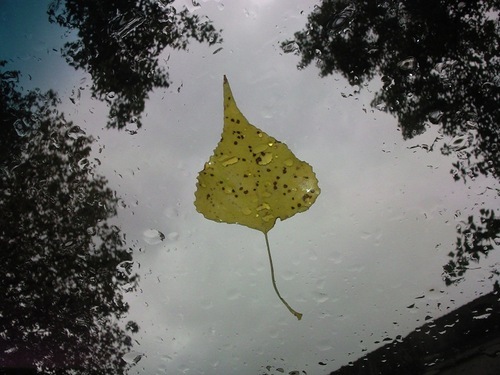 The same natural drops, stains from water, rain-blurred image filled the streets. 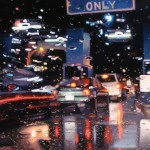 This realism comparable to photography. 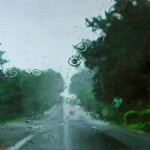 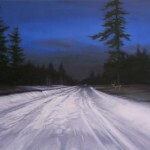 This fact underlines the extraordinary skills of the artist. 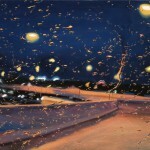 Gregory Thielker’s work distinguishes itself by a combination of design and technique, a synthesis of content and form.